The Deshpande Foundation has announced that they will fund up to three $200K Challenge finalist teams to travel from India to M2D2 from approximately March 10th to April 10th. During this one-month time frame they will be introduced to innovators, investors, mentors, subject matter experts and other players in the Boston/Cambridge/Lowell area life sciences community. 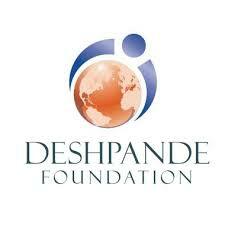 The Deshpande Foundation helps strengthen entrepreneurial ecosystems that catalyze innovative thinking, build leaders and entrepreneurs and accelerate the creation of sustainable, scalable enterprises that have significant social or market impact. M2D2 $200K Challenge entries close at midnight, February 19, 2019. Find complete details, rules, and entry form here.